The Plaza San Nicolas is located at the heart of the city and was, in many ways, the heart of the city. 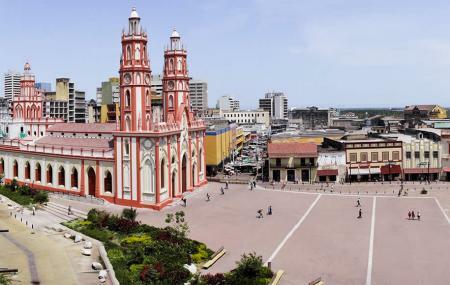 The plaza is right in front of the cathedral of San Nicolas. A large open space where cultural gatherings and festival celebrations takes place. Also a favourite place of the military parades on July 20th or November 11th. The lights at the cathedral in the evening are a delight to watch. There’s also a market nearby. A bit unsafe after dark. How popular is Plaza San Nicolas? People normally club together Estacion Montoya and Plaza De La Paz while planning their visit to Plaza San Nicolas.